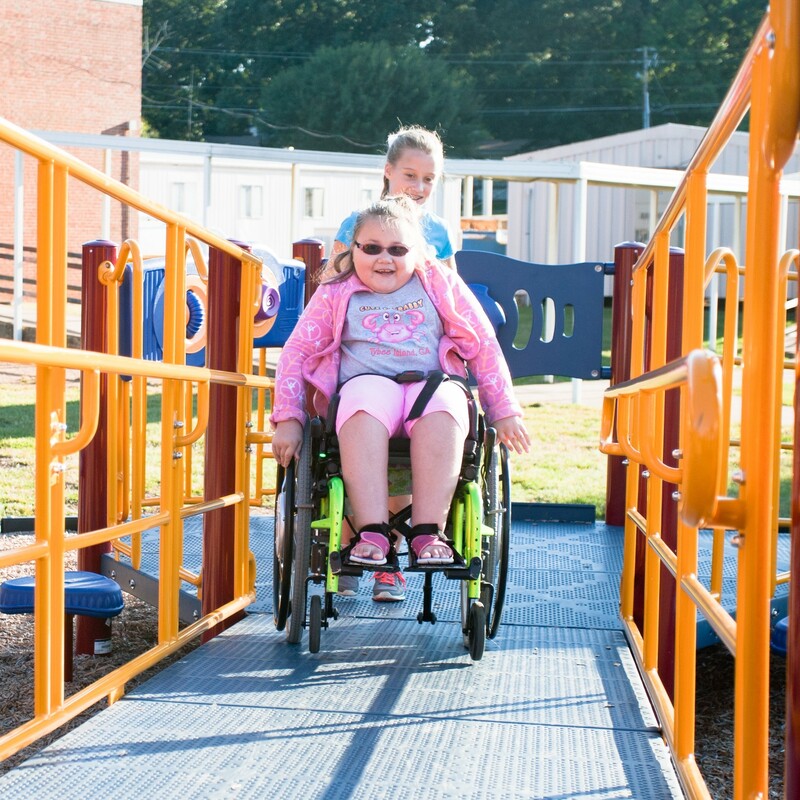 The Department of Justice released ADA standards regarding the accessibility of public playgrounds which address accessibile routes, surfacing, access and transfer spaces, ground level activities and more. The guidelines establish minimum accessibility requirements for newly constructed playgrounds and alterations to current play areas. Download our free ADA playground compliance checklist. Or contact your local representative to discuss a transition plan to bring your playground into compliance with the ADA playground standards. The purpose of this checklist is to provide education about some considerations to promote ADA compliance. It should not be considered all-encompassing. Providers are encouraged to read the standards and seek additional information if necessary. Please refer to manufacturer specifications and safety warnings and continue to provide normal safety inspections. For additional information, visit ada.gov.